Junkunc Bros. American Lock H10 Padlock - Oldest/First Ball Bearing Padlock??? Thread: Junkunc Bros. American Lock H10 Padlock - Oldest/First Ball Bearing Padlock??? Could be, of course American Lock was subsequently acquired by Master Lock in 2003. 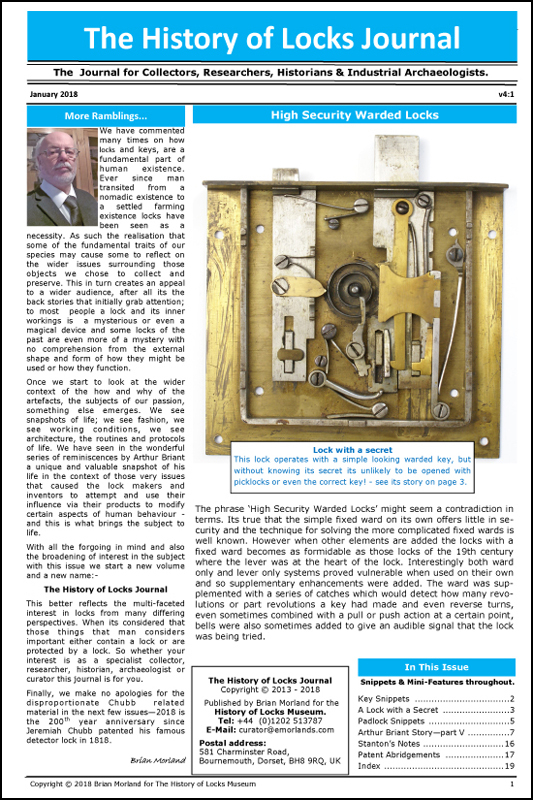 The 1919 date came from History of American Lock found on their website upon their 100th anniversary in 2012, see pdf attached.